* The testimonials featured on our website have been provided by actual patients of our practice, and are meant to highlight the best outcomes of our services. These testimonials are not to be perceived as a guarantee that all patients will experience the same results, or that the experiences described are typical.
" My experience was everything above exceptional from the front desk staff to Dr. Naficy himself. Thank you all again for making a very important decision an easy and pleasant one : ) "
" It’s hard for me to put into words the gratitude I feel towards what you have done for me. Finding you was a miracle; one that I was hoping for a long time. 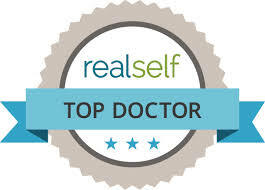 I am so blessed to have found the best... "
" Dr. Naficy - Thank you all for your first rate medical practice. My recovery has gone well, and a trip to New York/Jersey is on our agenda for the middle two weeks of April. My entire experience... "
" The visit went well, I am healing quickly. Night and day difference between the first and second week post surgery. The nose looks great. Dr. Naficy did a fantastic job! " " I would like to thank all of you for your kindness, concern and professionalism. I have felt very confident and comfortable with each of you and had complete trust in Dr. Naficy. I feel I was given... "
" My experience was terrific and I particularly appreciated the care by the nurses prior to and after my treatment and of course, Dr. Naficy was amazing. If I can provide a more detailed review on my... "
" My visit went perfect. Couldn’t have asked for anything more. I am now just waiting for the swelling to come down so I can show off my much improved nose that I can see trying to come out. It... "
" I am elated with the results of my surgery. The thought that went into each procedure was clearly based on artistic forethought and completely in harmony with the rest of my facial structure. The... "
" Dr. Naficy - how can I ever thank you for the beautiful job you’ve done. I absolutely love it and am amazed by the difference. Thank you for all of your kindness and attentiveness before, during... "
" The chin implant has taken focus away from my receding chin, creating a symmetrical appearance from the front and given me a more balanced profile. I have to say that I had a real tough time trying... "
" Dear Dr. Naficy - thank you for my beautiful nose. I know I was a slightly difficult patient but you and your staff consistently treated me with patience, care and kindness. I am extremely satisfied... "
" Dr. Naficy and Julie - I wanted to thank you again for everything you did for me. I am really happy with the results of my surgery and I wanted to send you some pictures from my wedding so you can... "
" Thank you for following up. I have had an amazing experience at your office and feel very glad that I chose Dr. Naficy. Everyone has been so wonderful and I truly appreciate it. Yesterday was my... "
" Simply put, from my results I think Dr. Naficy is an amazing surgeon. The entire shop is extremely well run with great attention to detail. Everybody knew what they were doing and were doing it well.... "
" I also decided to go with Dr. Naficy too and I am 10 days post op with a revision rhinoplasty (my first was open) and a septoplasty. My entire experience could not have been better. I am very... "
" My experience at your facility was nothing short of excellent. Dr. Naficy did an incredible job, and every single person I’ve dealt with there has been professional, personable and knowledgeable,... "
" Dr. Naficy – I just wanted to let you know that I’m incredibly pleased with the results. The results have exceeded my expectations! It’s incredibly natural and no one has really noticed it.... "
" I cannot believe it’s only been two weeks since my surgery and already just about all the bruising has gone and my incision has just about totally healed. 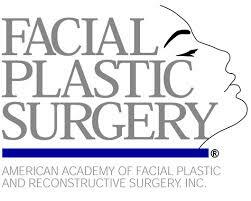 Dr., Naficy and staff did such a wonderful... "
" Hi Julie – I will send a proper email to you staring how pleased I am with Dr. Naficy’s amazing talent making my face look naturally younger & w/out many visible scars! It’s been one month... "
" I have had a wonderful experience in dealing with Dr. Naficy and all of his staff from the very first contact dealing with Dr. Naficy and all of his staff. From the very first contact to the surgery... "
" Dr. Naficy performed septoplasty and rhinoplasty to me today (few hours ago) so you can imagine how I feel now. But I was truly impressed with Dr. Naficy’s work of art so I took my laptop and... "
" I wanted to write letters of appreciation to you all but I can’t remember everyone’s names. I am almost two weeks out from my procedures and am doing great! Dr. Naficy is an amazing surgeon and... "
" I just want to say that Dr. Naficy did an amazing job on my nose, I had the surgery in 2007 and just a day ago I was thinking of him as I looked at my nose which is a 100% improvement than when I had... "
" I chose Dr Gottlieb after doing a lot of research on different plastic surgeons in my area. I read reviews on him and spoke to a couple of his past patients. He has more than met my expectations and... "
" I couldn't be more pleased with Dr. Gottlieb and his wonderful staff. I appreciated his manner, skill and results. " " Dr. Gottlieb is such a sweet and gentle person. He does not for one second make you feel uneasy about the procedures, and is so caring. I truly felt like I was unique, but he sees MANY patients, so... "
" The Naficy office and staff have been wonderful, and Dr. Gottlieb is amazing I am so thrilled with my procedures. " " I just want to say thank you Dr. Gottlieb for doing such a wonderful job! I’m Still amazed on how it all worked out with the time crunch! It's exactly what I was hoping my breast would be like!... " " Everyone has been very friendly and helpful during this experience for me. From Dr. Gottlieb, and every staff member has been remarkably professional and kind in answering all my questions and... "
" Thanks for your inquiry. Everything with regard to my recent surgery has been perfect! Dr. Gottlieb is amazing and the entire staff has been caring and helpful on my behalf. The healing process is... "
" Dr. Burnett, I want to thank you again for making such a difference in my life. You are truly skilled and talented…. you had an especially difficult task with all that I wanted to accomplish! My... "
" Thank you for all the wonderful work you’ve done for me. You’ve helped me move my life in a positive direction and I will always be thankful. " " Thank you Dr. Burnett’s office for excellent care and for the anesthesiologist, you are absolutely the best and most respectful Dr. I have ever worked with. Thank you, doctor for listening to my... "
" I am recommending Dr. Burnett and her staff to a few friends who after pregnancy want to improve their tummies. The experience was very positive. " " I just wanted to say “Thank you” to all for being so supportive of me. I was very well taken care of! I believe I will be very happy with my end result as I feel Dr. Burnett takes great pride in... "
" I have been planning for this day for about 8 years- it’s been a long hard road. I am so glad to have found you. I have been to a number of surgeons these past years and just did not like a... "
" Thank you so much for all of your understanding, patience and caring during my surgery. I really could not have asked for a better experience. And, most importantly I am so pleased with the results!... " " I don’t know how to thank you exactly. You have changed my life. For my entire junior high school years I hated shopping, swimming and any other event that required me to think about or show off my... "
" My surgery was a positive experience from start to finish. Because of the explanations by Dr. Burnett, I was completely prepared and anxiety free on the day of surgery. Every person in the office... "
" We especially were appreciative of Dr. Burnett’s conservative approach to follow up care and her standard of care in general. Thank you! " " Dr. Burnett was very organized at what she is doing, I’m very pleased with all she’s done for me, and I would recommend her to all my friends. And thanks again to all the staff that worked with... "
" Dr. Burnett, you were wonderful and extremely professional and talented. I appreciate your compassion and in-depth explanation of medical procedures. Thanks. " " I would highly recommend Dr. Burnett to anyone needing plastic surgery! I am pleased with the entire process from the beginning to the end. Thank you to reception and nursing staff for being so kind... "
" Just a note to thank you for being such warm and caring people. It’s very much appreciated. " " I just wanted to take a moment to let you know how much I enjoy coming to Naficy! Every time I call to make an appointment or when I am in there for my various appointments I am always treated with... "
" Great experience - excellent care. " " All is well and I had a great time, as always, at your office! Thank you! " " I always have a wonderful experience in your office! I am so happy whenever I get a glimpse of myself in a mirror and that "turkey neck" is no longer there! " " Thank you very much for the follow-up. As always I enjoyed coming to your office. Everyone that works there is always very kind and helpful and the office is just beautiful. " " I had a great experience at Naficy. The women at the front desk were welcoming and professional. In addition, my nurse was great. She was attentive and accommodating. It's so nice to go to a... "
" Thanks so much. Everything has gone well so far. Your staff is fantastic, and everyone has gone above and beyond to ensure things have run smoothly. I've felt very well cared for. " " This was my 2nd experience at Naficy, and it was fantastic ~ same as my 1st! " " My office visit went without a hitch and I truly appreciated the honesty and integrity of your staff, as well as the follow up. " " While I am still considering whether I should pursue the procedure, I found my experience at Naficy beyond expectations. Thanks so much. " " I had a WONDERFUL experience at your office. My face feels great and looks way better!! I'll definitely be back for more! Thank you again! " " Thank you - fantastic service and results. You all have always made me feel welcomed. " " Everything went so smoothly from the moment I came in to the day after my surgery. I really love the customer service I got from all the team member's. The results are amazing and I couldn't be more... "
" Everything was wonderful! I've never had a better experience at any doctor - in fact, I wish I had a little extra money to come get some other things done - that's how great my experience was.... "
" The visit was excellent as always. I love the level of service and friendliness your office provides. " " I had a great experience during my visit. The entire staff are so welcoming and make everyone feel comfortable and at ease! " 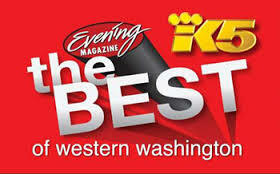 " I was very impressed with the service I received. I started off with an appointment for a chemical peel, and was able to be seen for injections as well on the same day. Having worked in a plastic... "
" I just returned from Seattle today and am very pleased with the results of my peel. Your office has such a welcoming environment and the staff are very helpful. I would recommend Naficy... "
" Thank you for following up! I noticed considerable results after my first treatment , and had absolutely no uncomfortable side-effects. I am very satisfied with the procedure, and will schedule an... "
" My Naficy experience was perfect, as usual! I came in expecting to have a small area on my face lasered however it was explained to me that my recent sun exposure made me a poor candidate for the... "
" I had a wonderful experience as usual. :) My skin has noticeably tightened and I am very happy with that. Thanks for the follow up. " " My visit was great and I look forward to seeing you all in a few months for another botox session. As usual, you all were very professional and friendly. " " I’m very pleased with my Botox and Juvederm indeed! I looked so much younger for my wedding yesterday!! Please thank your staff for me! " " Thank you so much for the follow up. Everything was wonderful and I received excellent treatment. I was a little nervous going in because it was my first time getting Botox and I'm relatively young. " " The folks at the front desk were also very welcoming and warm. This speaks to the kind of practice you run. I am really glad I found Naficy Center. I'll be back in 4-6 months! " " I loved my appointment at Naficy Rejuvenation Center, I had ample time and all of my options and plans will explained in detail. I am extremely happy with my injection results so far. " " Thank you for reaching out regarding my experience at Naficy Plastic Surgery & Rejuvenation Center. Everyone was very professional and answered all of my questions. I was impressed with the front... "
" Thank you for checking in. Felt the Botox taking effect a about Sunday. I am loving the result so far. " " Both my friend and I appointments were super! My friend looked fabulous afterward and the next day--no bruising, great fullness See you soon. " " Thank you for the follow up. I am very pleased with my Botox and Voluma results and with the service. I will be coming back for more treatments. "